Imagine that you could have a 60/60 vision, yeah, you heard me, 60, not 20. Imagine that you could improve your vision three folds for the rest of your life, imagine not wearing glasses any more or tinkering with contact lenses which require constant care. Had laser eye surgery? 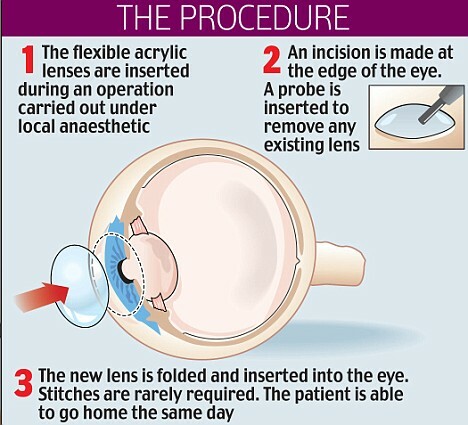 Think about this, imagine no one ever having to undergo this procedure, or develop cataract. All these things are now possible thanks to the Bionic Lens Implant which is developed by Ocumetics Technology Corporation. On their website ocumetics.com, it says that for the last fifty years eye surgeons everywhere have imagined this type of lens that will sit within the eyes and will completely restore the vision of the person. This product have been in development for a while after an extensive research and development, the lens uses some patent features that can automatically make the lens adjust according to the eye focus. The bionic lens implant is made up of inert bio compatible polymeric materials that in no way cause any adverse biophysical changes to the eye. The way you implement this lens is by having a simple procedure that inserts the lens within the eyeball using a minimum invasive surgery of a 2.7mm incision. 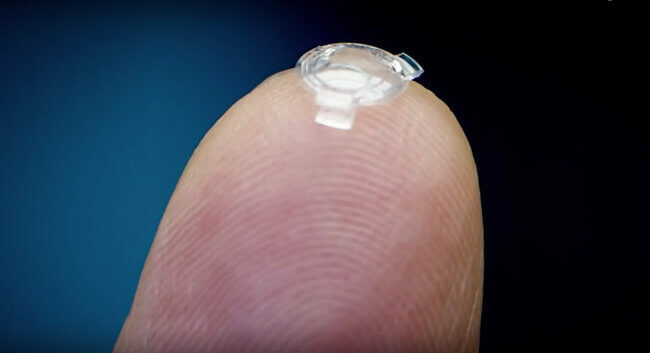 After just a few seconds the lens opens up and cover the eye natural lens, Vision will be totally restored just after a few minutes allowing the patients with the bionic lens to see clearer and farther. Dr.Garth Webb is the man behind the development of the bionic lens and he says the procedure will be completely painless and will give people three times the power of their natural vision. The project was well funded and is estimated cost by now is around $3 million, the implant would be safeguard against cataracts in the future and it will also strengthening the eye’s natural lens that we all know is prone to decay. The easy procedure will be safer than the invasive laser surgery. Now for the big question, when will this be available for the public, well it is estimated to be commercially available sometime sometime after 2017 after running a few more clinical trials, cant wait!